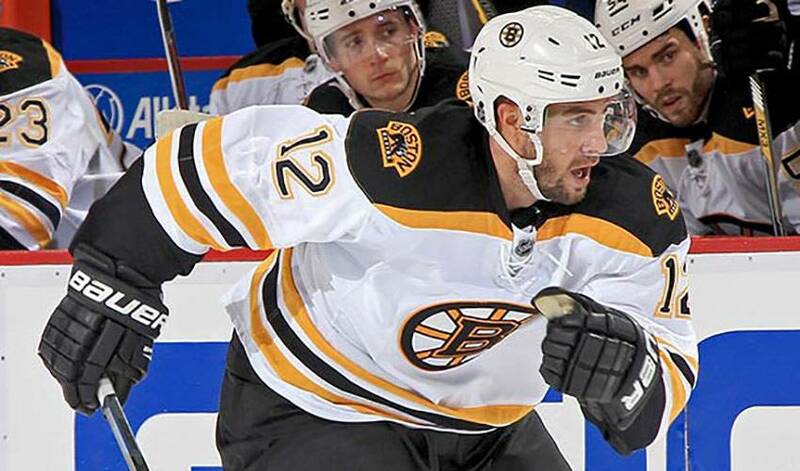 Simon Gagne won’t be asking for any Christmas gifts this year. The veteran forward already received just what he was hoping for. Last season, Gagne, who had last played in 2012-13, took on the role of spectator, rather than participant, after a deal with the Philadelphia Flyers fell through. There were some options available to him over that period, and a few teams had inquired about his services, but there was little guarantee he’d get a shot to play in the NHL full-time again. A call from the Boston Bruins before the start of the 2014-15 campaign would change everything. He didn’t have to think very long about the offer. That wasn’t the only familiar face in the organization. Gagne and fellow forward Patrice Bergeron happen to be close friends. “Patrice and I have a hockey charity event each year in the summer in Quebec and recently, Claude came up and helped coach,” recalled Gagne. Gagne must have done something to grab Julien’s attention. “So, he knew me and maybe he saw something he liked when I was out there,” joked the 22nd overall pick in the 1998 Entry Draft. “It almost seemed like it was too good to be true.” Getting back out on NHL ice, albeit in a tryout setting, was a welcome change of scenery for Gagne. The net result of the two-time all-star’s story is a roster spot on one of hockey’s deepest teams. Not much more he can ask for, right? Well, with one exception: he wouldn’t mind seeing his name on hockey’s most prized team trophy one more time. “I might just ask for that,” said Gagne, who won the Stanley Cup with the Los Angeles Kings in 2012.